For a man who encourages his customers to relax and enjoy his cigars, Enrique Sanchez’s first attempt at smoking a cigar didn’t go so well. In the early 1990s, the Nicaragua native was backpacking through Spain with friends when he purchased his first cigar. No matter how much he puffed on it, that cigar produced no smoke. Disgusted, Sanchez threw it away and vowed to stick with the cigarettes that he enjoyed smoking at the time. A few months later, on his return to Nicaragua, Sanchez discussed his brief and disappointing cigar experience with his uncle, an avowed cigar lover. After listening to the story, Sanchez’s uncle asked one simple question: Did he cut the cigar before attempting to smoke it? A dumbfounded Sanchez admitted to his uncle that no one had told him that he needed to cut the cigar. Thus began a journey that nearly 20 years later led to Sanchez creating Global Premium Cigars and his own brand, 1502 Cigars. Following his backpacking adventure and becoming initiated in the rituals of preparing and smoking cigars, Sanchez discovered his own love for them, and he became fascinated with the importance of tobacco and cigars to Nicaragua’s culture and history. He and his friends would occasionally gather and trade Nicaraguan cigars as if they were baseball cards, which helped Sanchez to develop preferences that pleased his palate. Sanchez’s metamorphosis from business consultant to cigarmaker began in 2009. Sanchez approached Nestor Plasencia Sr. with a business plan proposing to become a tobacco broker. Plasencia explained to Sanchez that he already had well-established brokerages and instead suggested that Sanchez start his own cigar brand. 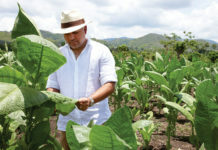 For months, Sanchez traveled between his home in Managua, Nicaragua’s capital, to Plasencia’s factory in Esteli, the country’s cigarmaking capital. On each trip he learned more about the intricacies of developing a blend, and he honed his palate even further. Through sampling dozens of different tobaccos, Sanchez identified those that he’d like to work with. From those different tobaccos five blends developed. After testing those five blends with friends in the American market, three blends emerged as clear favorites. Those three blends became Global Premium Cigars’ first three offerings—1502 Emerald, 1502 Ruby and 1502 Black Gold—all of which Sanchez introduced in 2012. Beginning with 1502 Emerald, 1502 Ruby and 1502 Black Gold, Global Premium Cigars’ offerings have grown to include 1502 Nicaragua, 1502 Blue Sapphire, 1502 XO and Cachitos. Sanchez’s creative impulse hasn’t stopped with the release of those first three cigars. 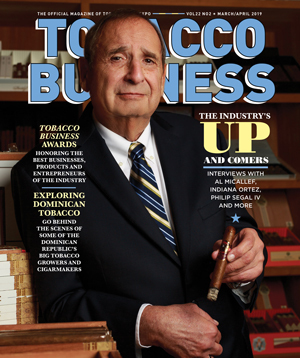 He has grown as a cigarmaker, and his palate and knowledge for tobacco in all its varieties has expanded. 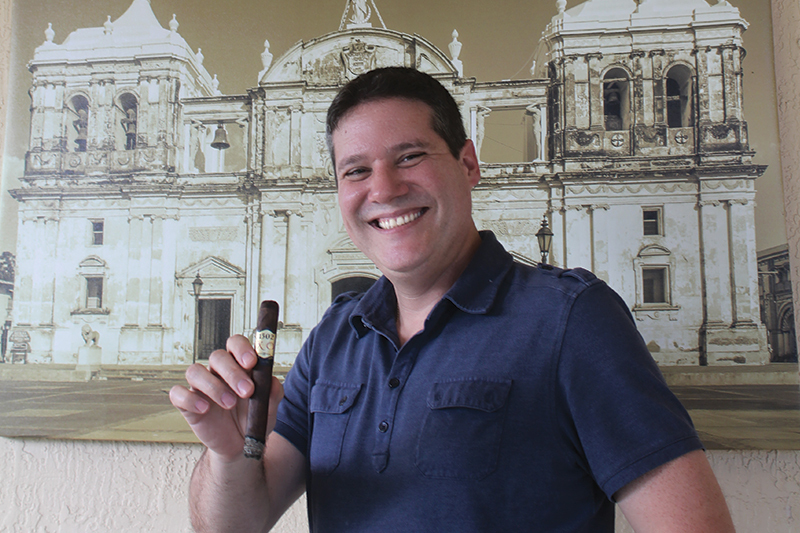 Bringing the culmination of his own evolution as a cigarmaker to other cigar lovers has become the driving passion for Sanchez and Global Premium Cigars. As Global Premium Cigars’ product offerings has grown, Sanchez has divided his portfolio into three broad classifications: Origin Selection, Blended Selection and Masterpiece Selection. 1502 Emerald, 1502 Ruby and 1502 Black Gold compose the Blended Selection. The Origin Selection includes 1502 Nicaragua and 1502 Blue Sapphire. The medium-plus 1502 Nicaragua is composed completely of Nicaraguan tobacco, including selections from each of Nicaragua’s four growing regions: Ometepe, Jalapa, Condega and Esteli. 1502 Blue Sapphire is also a Nicaraguan puro that contains tobaccos from Jalapa, Condega and Esteli. While both the Origin Selection and Blended Selection cigars are regularly available, Sanchez’s masterpiece, 1502 XO is limited to 1,502 10-count boxes annually due to the limited availability of the 18-year-old binder and filler tobaccos used in the blend. Each of the boxes and every 1502 XO cigar band feature a serial number denoting the rarity and special status of the line. 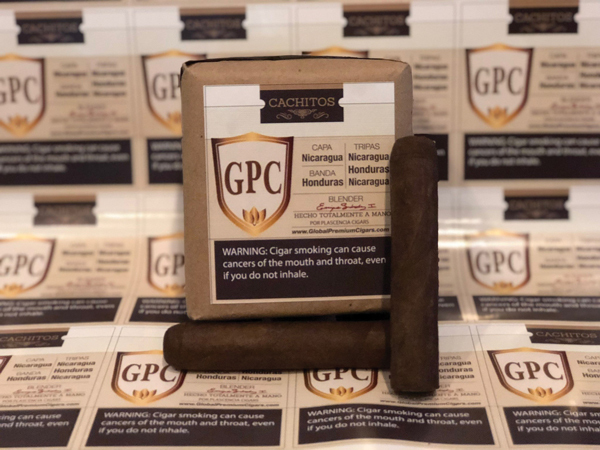 Recognizing that moments to relax and enjoy a cigar can be all too brief, Sanchez introduced Cachitos, a series of cigars sized 4.5 x 50, at the 2018 International Premium Cigar & Pipe Retailers Association (IPCPR) trade show. Blended from a combination of Nicaraguan and Honduran tobaccos, Cachitos may be enjoyed in approximately 30 minutes. 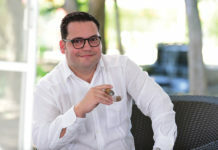 Since his late teens, Sanchez has recognized the beauty and cultural significance that tobacco and cigars represent for Nicaragua as well as cigar lovers around the world. Passionate beyond measure, Sanchez articulately speaks of his love for his country and for the industry in which he diligently works. In 2016, Sanchez’s Global Premium Cigars was the first premium cigar company to bring a lawsuit against the U.S. Food and Drug Administration (FDA) for its proposed deeming regulations regarding premium cigars. A year later, the lawsuit was placed on hold as the FDA announced that it would review the deeming regulations and cigar trade associations came together to file a joint lawsuit. While the future remains murky, Sanchez is convinced that there will always be a place for boutique premium cigar companies like Global Premium Cigars.